I love my country, The United States of America. But I discovered at an early age that my country did not like me. I had to leave the USA and live in Germany to find equality. After we completed our Air Force basic training, six buddies, four white and two black young men from Detroit headed back home on the train. 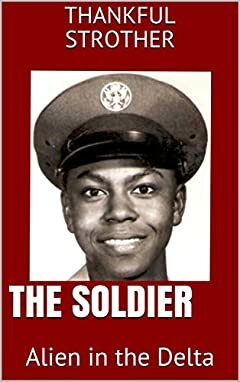 Born and raised in the South, I had experienced discrimination before, but this time it hurt me deeply because I was dressed in my US Air Force uniform and was prepared to die for our country, and yet my fellow countryman still would not serve us. Segregation was the law in the southern United States in 1962. No one should ever have to experience that kind of treatment! We just got back on the train without eating and sat in silence. We began basic training as six buddies from Detroit. When we returned, we had experienced very different treatment from the same country that we had pledged to give our lives for if necessary. Because of that experience, I discovered the country did not like me. However, I still loved my country! The Soldier - Alien the Delta is the second book in the series. The short stories are compelling, thoughtful and humorous about various experiences in the US Air Force, international travel, romance and interracial marriage. The Alien in the Delta Series by Thankful Strother is about the author's life as a poor black boy growing up in the Delta. The three book series represent different time periods. They include The Child, The Soldier, and The Adult. Thankful Strother's story of his life experiences is moving and profound. He does a remarkable job of bringing the reader into his world. While reading his stories, I felt like I was in the room with him as he shared the details of all his adventures.